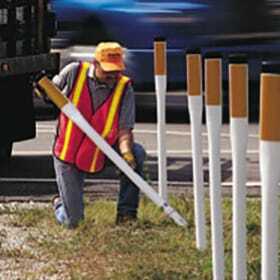 You can delineate the edge of a road, work zones and other areas with a complete selection of flexible delineators and markers from JTI. We offer the complete line of Safe-Hit products. These highly durable delineators and markers are available with a broad range of reflective configurations and sheeting to fit any application.